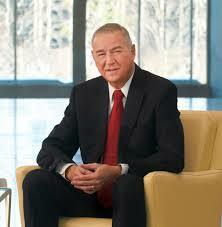 PUNE (DENVER): Data analytics major SAS Institute chief Jim Goodnight has blamed "very very loose rules and regulations" at Facebook for the breach of personal data of millions of users. Amid a global furore over breach of personal data of tens of millions of Facebook users, including in India, Goodnight said although all technology companies have obligation to protect personal information they have collected on their consumers, most of them are careless about it. A pioneer in data analytics, the North Carolina-based SAS Institute has annual revenue of over USD 3.2 billion. "I think Facebook just had very, very loose rules and regulations about what they would permit and what they don't, because that is how they are making money. "... in short, technology companies have been very loose with the data they have collected on individuals," Goodnight, who is the company's co-founder and chief executive, told reporters in an interview here. He was speaking on the sidelines of the SAS Global Forum here, which was held from April 8-11. At SAS, he said they always make sure that all any personalised data is completely encrypted so that none can break in. However, he said he is against any government interference or regulations. "I would hate to see the European Union's general data privacy protection-type regulations imposed in the US because I don't like any kind of regulations. I hope it does not get us to wrestle like in Europe," the septuagenarian said. About India's biometric identification system Aadhaar, Goodnight said the country would have to ensure that individual's data is not breached and cited the example of the US where there is a lot of regulation to protect data related to social security numbers. Regarding SAS India business, he said the Indian arm continues to grow. "We have done very well in India so far. Banks are getting bigger, companies are getting bigger and it is still a growing market for us". He also said the company would continue to increase its R&D staff at Pune. SAS has offices in New Delhi, Pune, Mumbai and Bengaluru. Defending artificial intelligence, amidst concerns that the technology might impact jobs, Goodnight said, "I think people skilled at or familiar with AI will be preferred over others. So hiring will continue to happen but of those with better tech capabilities" Goodnight also predicted that when it comes to mobility, the future would be in self-driving cars. "We will see more development in the area of self-driving cars. Within 10 years every car will be self-driven. I hope there will be official requirement that there has to be some specific number of self-driving cars. "After all we all would be safer than we are now. With distracted humans driving, I think, I would rather prefer a computer that is not distracted while driving. There are still some glitches to work out but they are making a lot of progress," the SAS chief concluded. At the forum, the company had announced creation of a new division to fight frauds and cybercrimes globally, using artificial intelligence and advanced analytics.